Nowhere else in the world can you travel through 5 great fresh expanses of water so large you lose sight of land for days at a time. A Great Lakes cruise will take you along the aquatic superhighway upon which much of the country’s natural resources and farm products travel to market. You can even follow the path of early fur trappers and settlers as they headed west from the east coast into the Heartland of America. Fresh out of high school I spent my first summer of adulthood working as a deck hand on a 550-foot iron ore carrier. Traveling from Duluth Minnesota at the western tip of Lake Superior to ports throughout the rest of the Great Lakes, we stopped at many ports along the way. Most often we hauled iron ore to the steel mills in Cleveland, but we also hauled coal and limestone. The experiences I obtained during those summer months are often relived as memories now some 40 years later. It was a fascinating time of growth and learning as I saw firsthand how our industrial might is sustained. 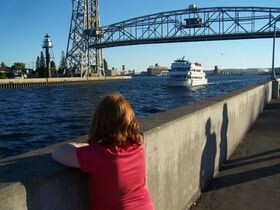 This summer, for the first time in many years, my hometown of Duluth will be a departure point for a Great Lakes cruise itinerary. The Great Lakes Cruise Company will be making its inaugural trip from Toronto to Duluth with Emmy Award Winning Journalist Bill Geist on board. The dates are June 27, 2009 through July 4, 2009. Through the rest of the summer, the Clelia II will be maintaining a regular schedule traveling across 4 of the 5 Great Lakes. With her launch taking place early this spring, this will be her first voyage after an extensive rebuild with all new furnishings. The Pearl Mist sails between Chicago, Toronto, and a number of other Canadian ports. The Grande Mariner also operates out of Chicago, making Lake Michigan cruises that both depart and return to their Chicago port. All through the Great Lakes, smaller charter operations and scenic tour boat services operate. They take passengers to secret fishing locations and on tours of shipping harbors — complete with detailed historic information of shipping activities back to the time of multi-mast sailing ships when the country was first starting to expand. Operations like the Vista Fleet operating in and around the Duluth Harbor are a great way to learn how the iron ore industry ships its goods east. You get to see how coal comes from Montana and grain is brought from the Dakotas. Watch as goods are shipped to market over the waves of the Great Lakes. 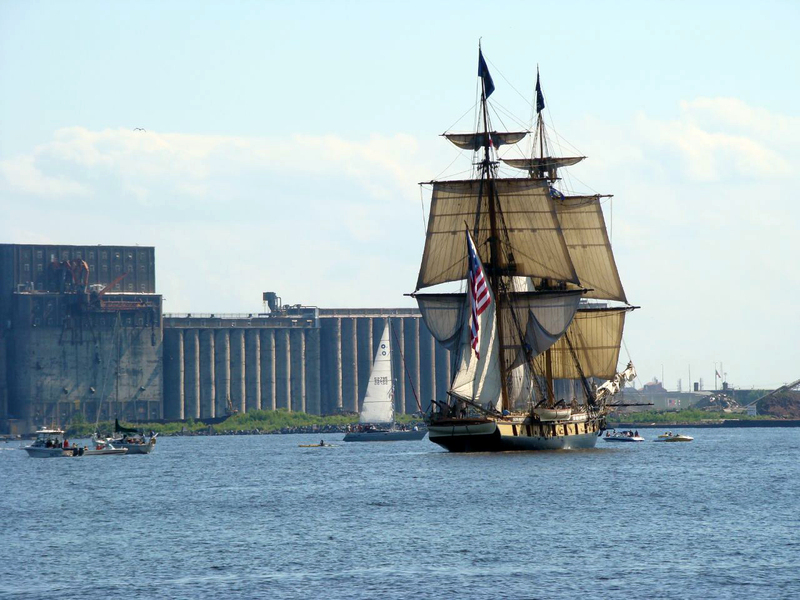 Here’s a great video of the 3 Tall Ships that visited Duluth Minnesota last year. 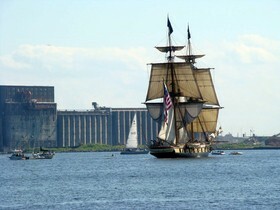 See how they entered the harbor under the Aerial Lift Bridge under full sail. Life around the Great Lakes is special. Come see for yourself, take a Great Lakes cruise!